Not much is known about the business relationship between W. A. Wood and the Dey Time Register Co, but it appears that Dey made clocks for W. A. 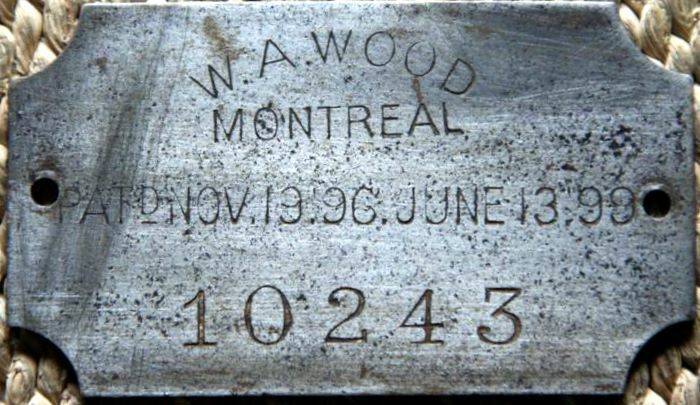 Wood that were sold in Canada under a license from Dey. 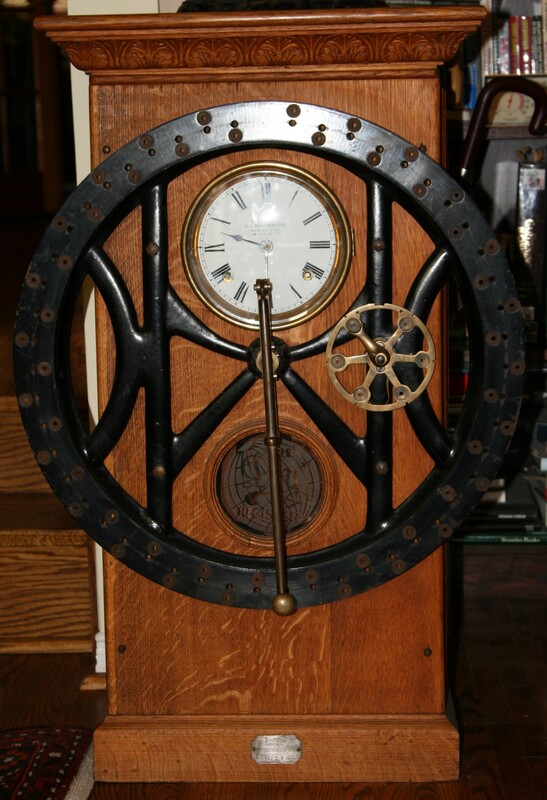 All Wood clocks I have seen appear to represent clocks made by the Dey Time Register Co, so it is most likely that this business relationship began after the name of the Dey Patents Co. had changed to the Dey Time Register which occurred about around 1900. The W. A. 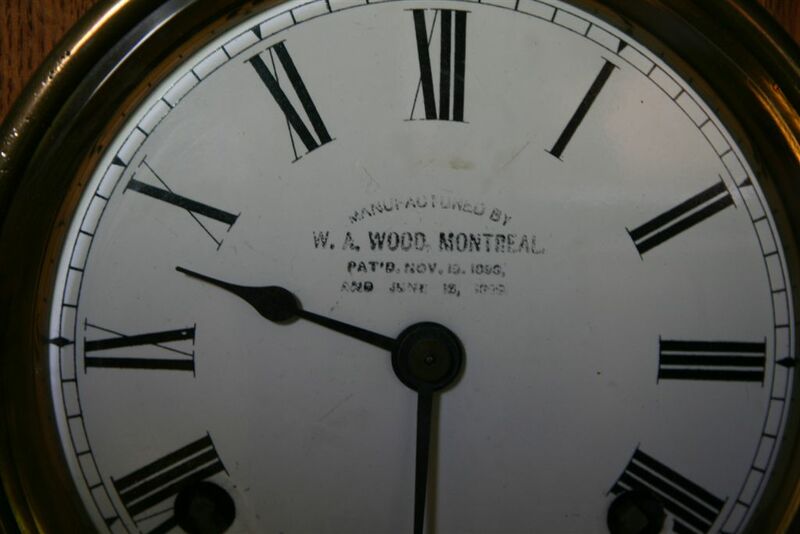 Wood dial indicated that the clock was manufactured by W. A. Wood, but it is more likely that Dey delivered complete clocks to Wood for resale in Canada. 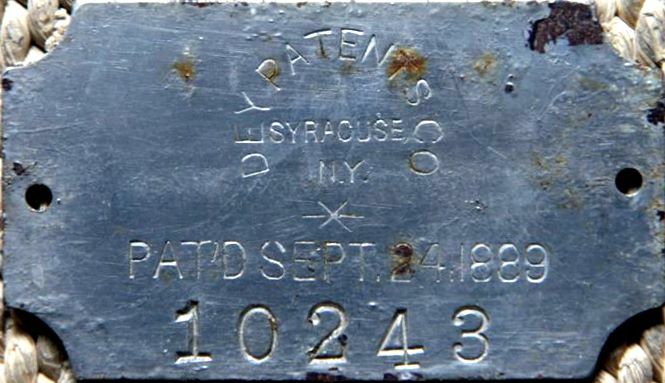 The front side of the tag shows two patent dates that represent Canadian patents issued to John & Alexander Dey of Syracuse, NY. These patents are essentially copies of previous US patents. The back side of this tag is most interesting as it seems to indicate that the clock was made by the Dey Patents Co. I would say that this tag was made from old stock on hand, but both sides show the same serial number. Therefore, this fact may indicate that this clock was made soon after the Dey Time Register Co. was renamed.